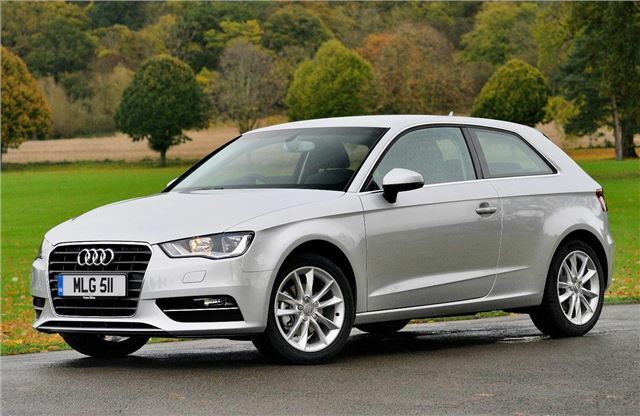 Audi has added a 1.2-litre TFSI petrol engine to the A3 range, which offers 105PS with emissions of 114g/km with official combined cycle fuel economy 74.3mpg. Both six-speed manual and seven-speed dual-clutch gearboxes are available. Prices start at £17,905. The new engine is available in SE, Sport or S Line trim levels, all of which get alloy wheels, air conditioning, Audi Music Interface connected to a retractable screen, Bluetooth. Sport models get larger alloy wheels, adaptive dynamics and aluminium interior details, while top S line models get xenon lights with running lights, plus a few more details. Prices start at £17,905 for the SE manual, rising to £22,760 for the S Line with twin-clutch automatic. Order books are open for three-door models, with deliveries expected in May. The five-door version will be available from the Summer. If its anything like the 1.2 TFSI Seat Ibiza I owned, then the quoted MPG figure is nothing but a work of pure fiction. I get and have got for years 42mpg with a 2.0 TDI A3. 74.3 mpg - total and complete nonsense. If other businesses mispreresented their products as badly as the car industry they would be locked up.